Leaves drop from trees in the autumn season. We used to call them “fall leaves” because trees dropped them mid-to-late autumn or fall. 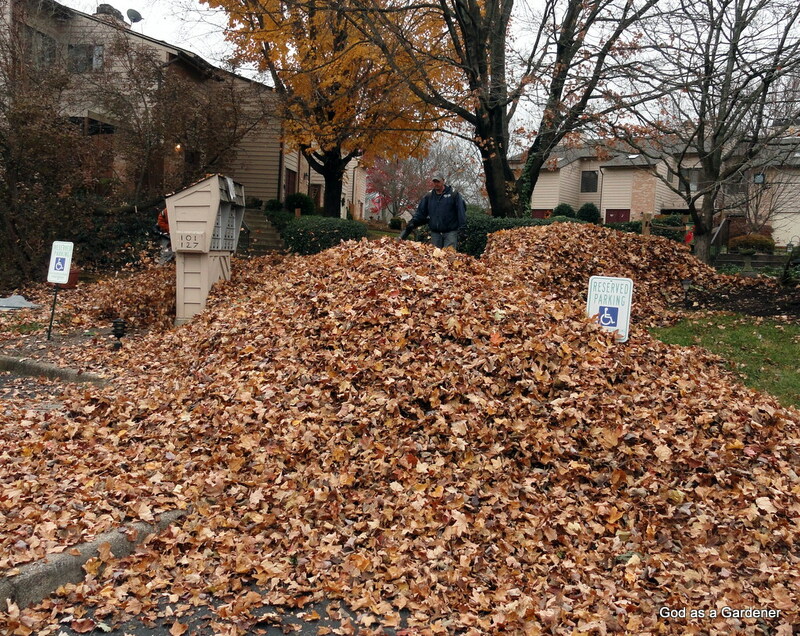 At one time, children raked leaves; however, now leaves are blown onto a pile and vacuumed into a truck to be dumped in the land fill! If leaves didn’t fall, then trees would have no space for new leaf buds in the spring. Perhaps our lives are the same way, i.e, if parts of us don’t die and fall off, there is no room for new growth. I want my life to mature and grow. As Paul wrote — I want to move beyond consuming only milk, I want to be a meat-eater. I want to be able to ponder the weightier teachings of the Bible, not be stuck in basic teachings of Sunday School. Reflection: Do you want new growth in your life? If so, what are you willing to let fall or give up?